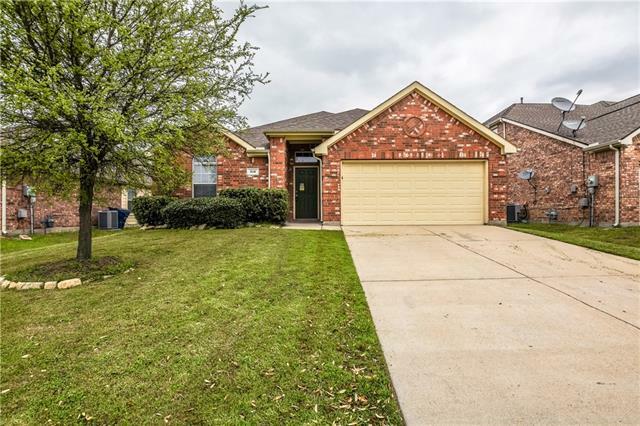 All Carter Ranch-Phase III Th homes currently listed for sale in Celina as of 04/20/2019 are shown below. You can change the search criteria at any time by pressing the 'Change Search' button below. If you have any questions or you would like more information about any Celina homes for sale or other Celina real estate, please contact us and one of our knowledgeable Celina REALTORS® would be pleased to assist you. "One story home in Celina s Carter Ranch. Walk into a grand entrance to home with tall ceilings and open floor plan. At front of house is a formal living room and formal dining room with laminate flooring and upgraded lighting. Large kitchen offers a cozy breakfast room with window seat, gas range cooktop, built-in microwave, dishwasher and refrigerator. Living room and kitchen are large offering plenty of room for gatherings and entertaining. Master suite has laminate floors with private ensui"
"Beautifully maintained home, recently upgraded & updated throughout! 4 bedrooms, 2 baths & 2 car garage. Spectacular kitchen remodel in 2018 with granite counters & extended bar seating, cabinets, duel fuel oven(Elec) stove(Gas), microwave, stainless sink, Delta faucet, tile backsplash, under cabinet lighting. Laminate wood floors (2018) in common areas & kitchen. Carpet in bedrooms. Open floorplan is inviting throughout with kitchen opening up to large living room. 2018 updated window, door mol"
"Stunning home on corner lot in Carter Ranch, ready for new owners. This home has lots of upgrades throughout. Granite counter tops, 42 inch cabinets, water filtration system, tile backsplash, window seat and gas cooktop in kitchen. Crown molding in living, master and dining. Beautiful updated master bath with oversized step down shower with dual valves and a jacuzzi tub. Wood floors in living and hallway, tile in entry, kitchen and baths. 8 ft. board on board fence with 2 gates, tile floor on "